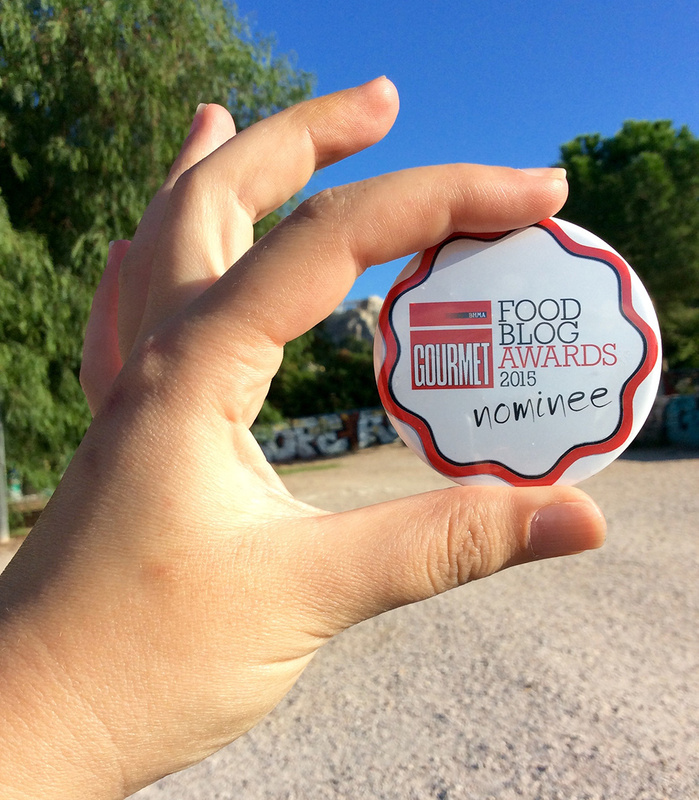 Vima Gourmet food blog awards - I'm in! You have perhaps noticed a bit of upheaval in my social media lately. There is a competition, quite a big one! It’s the first food blog awards organised in Greece. The initiative and organisation of this competition is taken up by the creative team in Vima Gourmet, one of the most popular food magazines in Greece. Am I excited? I’m jumping for joy. Eat yourself Greek has been collecting humble, family recipes over the past year and made many good friends. With the blogosphere teeming with super-creative people, it’s really quite something to be nominated for this competition. I’m in the Best Greek cooking in English category, but you have probably already guessed that. So, it all started with lunch! Nominees and organisers gathered together downtown to enjoy a lovely lunch under the roof of the osterman bar. There was a lot of food talking and lots of toasts for more creative and delicious cooking. I enjoyed a lovingly cooked, fish & chips with homemade tartare sauce that actually made me snigger – it was delicious! More than anything I enjoyed putting faces in bloggers long admired that so far I had only met electronically. To learn more about the rest of the nominees, visit the food blog awards page. There are also a couple of challenges that I cannot wait to get started on. The challenge in my category is all about simplicity, nutritious food and re-invetion. There are a myriad of ideas passing through my head. Of course I will share it all in due course. Meanwhile, why don’t you go vote? There is a little facebook like at the bottom of my profile. Just click and please feel free to share the love! Congrats!! I am sure you will do well. You have had so many good (and easy recipes) since I have been following your blog.Just do your best–no one can ask for anything more. Good luck! Congratulations on your nomination, you truly deserve it! Many thanks Nana! wishing you all the best!